There are 43 First Nations in Alberta. Each nation is contemplating the impact on their communities by the legalization of marijuana in July, and each is deciding the best actions for them to take. Some nations are considering the potential business opportunities in the cannabis industry, and others have taken their first steps into next year's projected billion-dollar market. Alberta Gaming and Liquor Commission (AGLC) will oversee and manage all distribution of marijuana inside Alberta. The AGLC will manage government-operated online sales and will license privately-owned marijuana stores. Minimum age is 18 for the purchase and possession of marijuana. Maximum possession is 30 grams. Growing marijuana plants at home will be legal. Maximum per household is 4 plants. The Siksika Nation announced plans in Nov 2016 for joint partnership between Siksika Resource Development Ltd. and Siksika Herbz Ltd. (LDI Group) for the purpose of cultivating pharmaceutical-grade marijuana. They are projecting annual revenues of $14 million. The business will be located on Siksika Nation land in the Siksika Industrial Park east of Calgary. A 25,000 sq-ft facility costing $8.2 million will be finished in 2018. 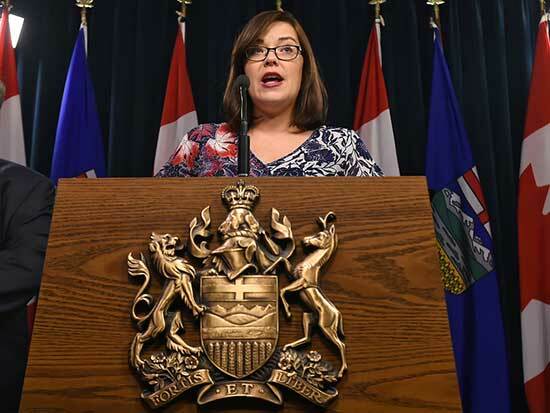 There are an estimated 250 licenses to be awarded this year to operate a cannabis store in Alberta. The new Alerta marijuana distribution regulations were recently released. 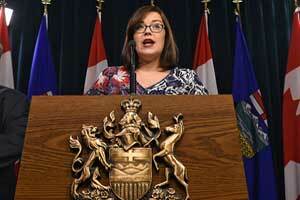 The regulations will give a legal way for people to sell marijuana and provide safe products to the Alberta citizens. On March 06 people may start submitting their applications to obtain a marijuana sellers license. The actual start date for legalized marijuana is scheduled for July 01. However, it is possible that date may need to be moved to later in the year. Fees for the application cost $400 and are non-refundable. The fee for the background check will be $3,000. If the license is approved, then there will be another fee of $700 for the first year. In order to receive the license for the store, a background check will need to be ran extensively. The check will range from tax records for the last three years to any possible mob connections. It is possible to take at least four months before the check is complete. If an applicant has been convicted for any past illegal drug charges, they will not be allowed to obtain a license for the store. The new regulations allow the stores to operate from 10 AM to 2 AM. They must be located at least 100 meters from hospitals and schools. 18 years old has been set as the legal minimum age to purchase recreational marijuana. Requirements from online workshops on the handling of difficult customers and the health risks from cannabis must be met by employees. They will also need to undergo a background check before they can be hired. A locked display case for the cannabis is required as well as having a monitoring system in place. This includes video cameras and alarms. Bids are being taken by the commission for marijuana wholesale pricing. In the next few months, regulations for online sales will be announced.